Writing local SEO content can be difficult. You need to write articles that boost your rank on Google, and are informative and interesting for readers. The two don’t always go together and getting it right can prove tricky. This is especially true when you’re writing content designed to appeal to people in your area. It will mean that you’ll have less topics to choose from, and fewer chances to get creative. To combat this, this post will talk about writing SEO articles that will increase your rank for local search results and be interesting for your readers. Even though you may have been in business for years, it can still be difficult to pinpoint exactly what your customers want. This is especially true when you’re talking about what people search for online in order to find your product or service. To get a clearer idea of what people are looking for and to help you write the most effective SEO article possible, there is a tool you can use. The tool is Facebook’s Audience Insight application. This powerful tool is built right into Facebook’s advertising platform and it’s free to use, even if you aren’t currently running any campaigns on Facebook (although I do recommend that you do so). Once you’ve opened up Audience Insights, you’ll be able to perform searches based on your market. This will give you some idea of the size of your target audience, and it will also show you their interests. For example, you might be surprised to learn that a majority of your potential customers also enjoy stock car racing or traveling. Once you have this information, write with one person in mind. If you already have an existing customer who matches these criteria, then consider writing to him or her. If you don’t, then you should make up a customer based on the interests that you discovered with Audience Insights. After you have an idea of his or her interests, you can write an article in order to appeal to them, and only them. This laser focus on a single customer will make your writing more appealing and direct. You’ll still gain the same SEO benefits, but you’ll find that your articles get viewed and shared more as they’re more interesting for people to read. If you’re just starting out then you won’t have a blog, or set of articles, to look at and judge. However, if you’ve been blogging or posting content for a while, then this can provide you with invaluable data for figuring out what works and what doesn’t. You can use a WordPress plugin like Jetpack to get a good idea of what posts are popular and which haven’t performed well. Or you can also use a tool like Buzzsumo to get an even more detailed breakdown of post performance. Regardless of how you analyze your existing content, it should give you a good idea of what works well and what doesn’t. Create new articles and blog posts similar to the most successful existing content, and you’ll be on your way to creating the most effective local SEO content possible. Writing SEO articles without researching the most searched local keywords is like leaving money on the table. That’s because local keywords can be easy to incorporate into an article, and finding them is simple and free. You can use Google’s Keyword Planner to discover what people in your area are searching for and which keywords they’re using to find that information. Keyword Planner allows you to narrow down searches to the local area so that you’re only getting results from local potential customers. 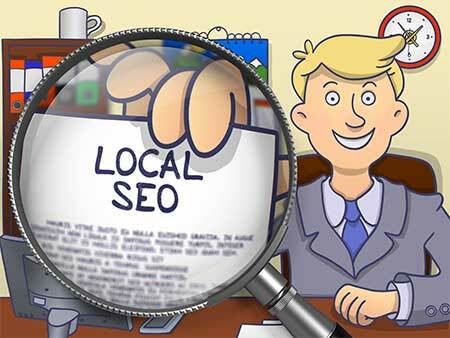 Combined, all of this information can help you to write the best possible local SEO article. You should now have some idea what people in your target market like, which content you’ve published has worked well, and you should also have an idea of which keywords get the most searches in your local area. By putting these three things together you can craft interesting articles that people want to read, and that will boost your ranking on Google as well.